Deposit Bond Australia (DBA) is the approved agent of QBE Insurance (Australia), an international insurance group which operates in 30 countries worldwide. For the last two decades, Deposit Bond Australia has been assessing, approving and issuing residential and commercial deposit bonds for individual and corporate owners, occupiers and investors, as well as first home buyers, retirees, self-employed clients and SMSF applicants. 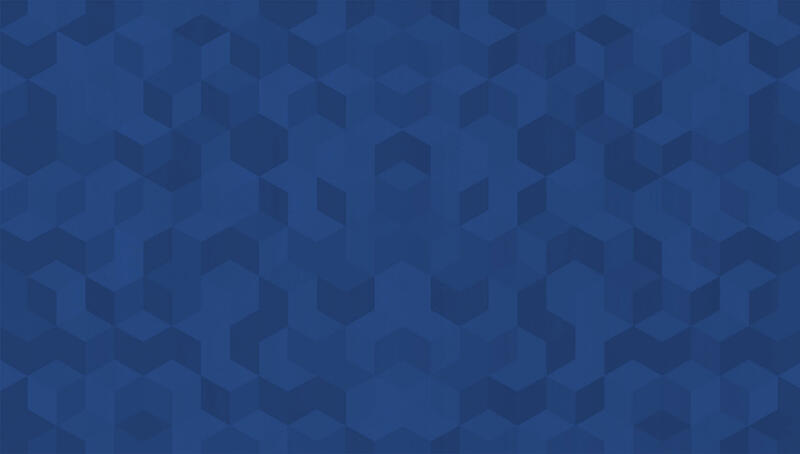 As Australia’s longest standing issuing agent of short and long term deposit bonds, DBA offers the broadest deposit bond policy and service range of any issuer in the residential and commercial property finance sectors. The aim of DBA is to make the long and often confusing deposit bond purchasing process as simple and secure as possible for its various clients. To achieve this objective, DBA needed a new website which would provide their clients with relevant information and resources, as well as an efficient online application system. This new website would complement their existing manual service, with tools including an online deposit bond fee calculator, deposit bond samples and in-depth guides. 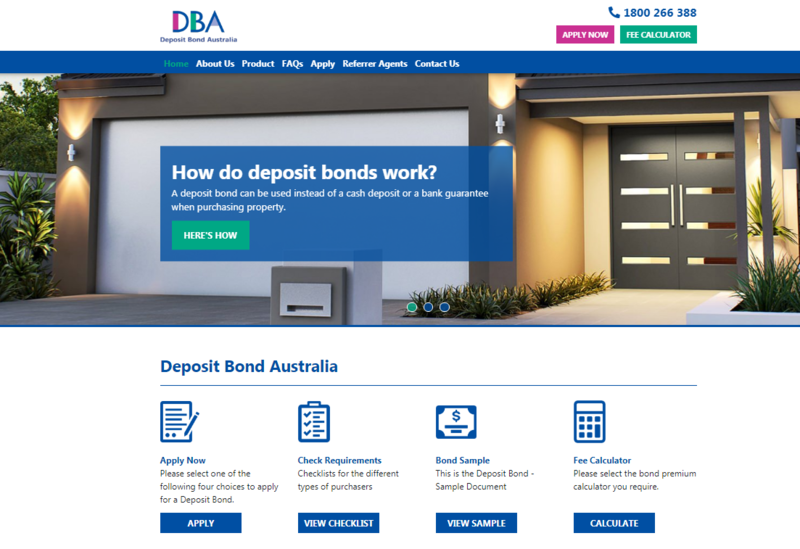 For a user-friendly, functional and structured website, Deposit Bond Australia came to the team at TWMG. The Website Marketing Group specialises in the creation of innovative and responsive website designs. By investing in our web design and development services, DBA would be able to reach potential clients across a wide range of digital devices, and provide existing clients with optimised information and useful resources. The team at TWMG designed a professional, neat and logically structured website for DBA. We focused on user experience, with a streamlined website structure which effectively leads clients to the information and tools that they need. 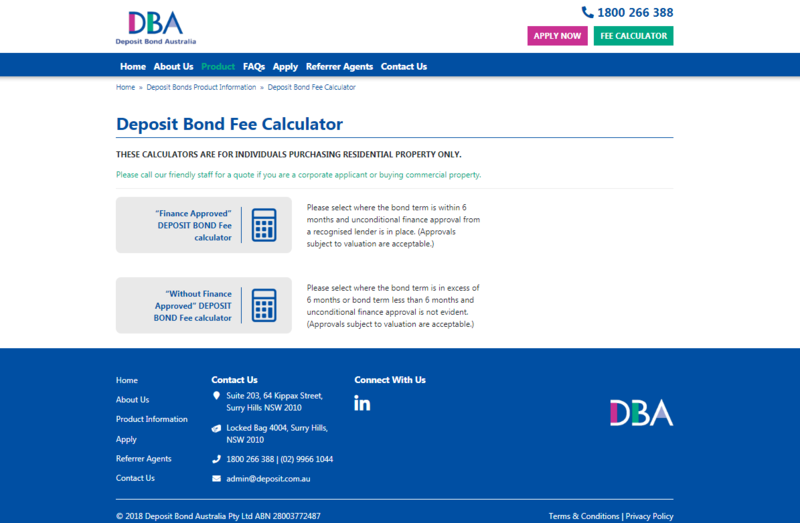 The custom deposit bond fee calculator created by TWMG is invaluable for DBA customers to estimate fee costs, while the other resources located under Downloads provide practical examples, guides, policies and checklists so that customers can make an informed decision about their application. The iDeposit online application system is quick and easy to use, catering for both individual and commercial finance-backed and income/equity-backed deposit bond applications. We suggested Wordpress as the CMS (content management system) for DBA. Wordpress is not only a highly customisable and user-friendly CMS, but also provides a range of plugins and themes, and can be easily updated by DBA staff with new content when required. The customised sitemap, clear layout and resources succeeds in making a positive user experience the focal point of the new DBA website. Our SEO team also optimised the metadata, images and content of the website to help DBA rise through the SERPS (search engine results pages), boost brand visibility and generate new leads and conversions for the business. 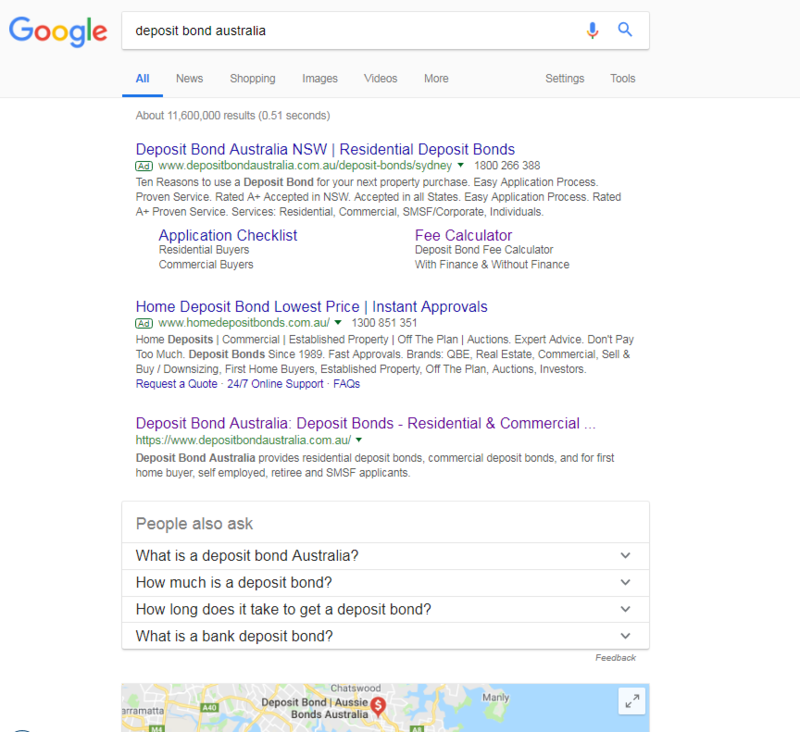 DBA now ranks highly in Google search results for relevant keywords, and is recognised as a leader in the Australian property finance sector. 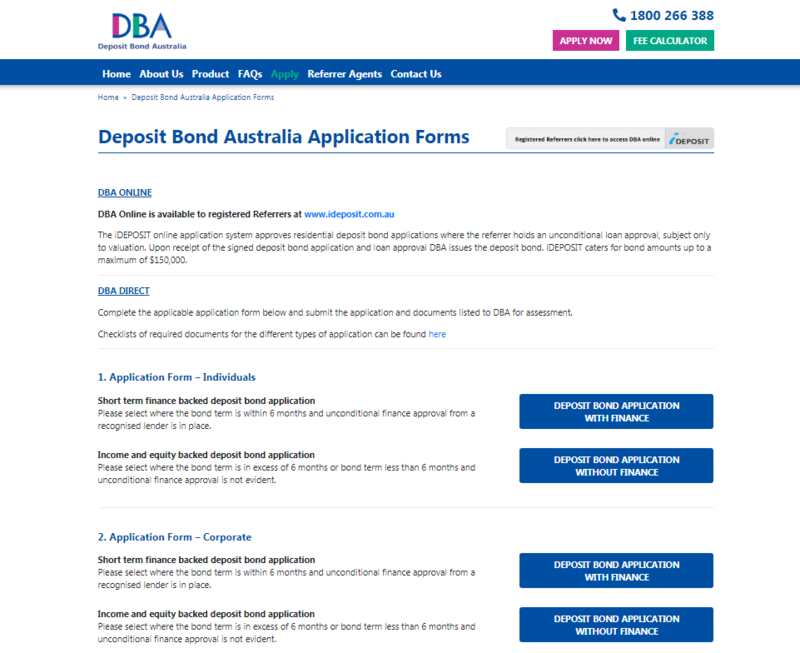 To learn more about DBA, please visit the new Deposit Bond Australia website here. Click here to find out more about our range of web development services and SEO packages.